Car seats with integrally knitted sensors, which warn drivers when they start to fall asleep at the wheel, are being developed as part of a study by researchers at Nottingham Trent University. Professor Tilak Dias and William Hurley of the university’s Advanced Textile Research Group, will be working with UK headquartered electronic sensors developer Plessey on a feasibility study to investigate how to integrate an electrocardiogram (ECG) sensor system directly into the fabric of car seats in an effort to save lives. The project is being funded by the UK’s innovation agency, the Technology Strategy Board, the UK’s innovation agency, whose goal is to accelerate economic growth by stimulating and supporting business-led innovation. 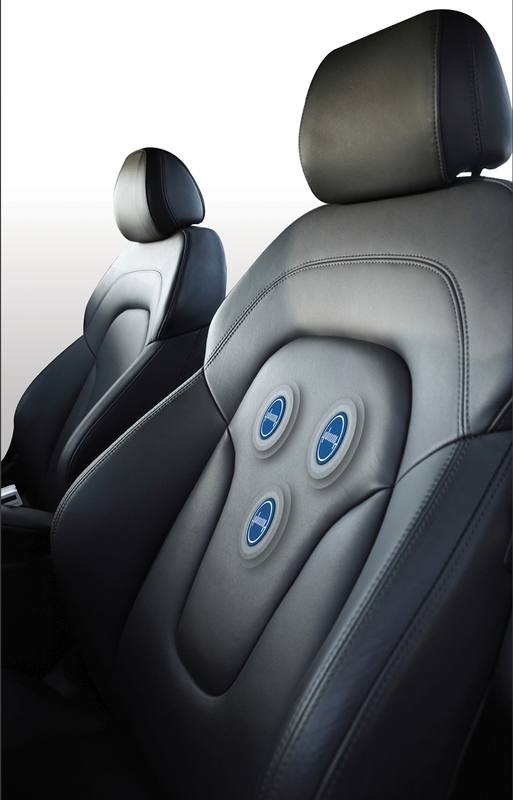 With driver fatigue a contributory factor in one in five motorway accidents *, the aim of the study is to embed a fabric based sensor system within the seat which can detect the heart signals that indicate a driver is losing alertness. The data would be used to send a warning to the driver to pull over. Should the warning be ignored, the vehicle could then engage systems such as active cruise control or lane departure technology to prevent accidents. The information could also be sent over a wireless network to a control centre to take further action. The Technology Strategy Board has committed £88,318 to the study as part of its £1.1m investment in feasibility studies to help the development of Internet sensors, which allow all kinds of machines and appliances to communicate and co-ordinate with each other through an information network. The Nottingham Trent University and Plessey project was one of 11 to receive funding through the scheme to develop its concept. If the study is successful, the aim is to develop the seats for truck drivers and for the luxury car market. Plessey is a leading expert in the development and manufacture of semiconductor products used in sensing, measurement and control applications. Plessey’s products are found in a wide range of markets including communications, manufacturing, medical, defence and aerospace. The Advanced Textiles Research Group at Nottingham Trent University led by Professor Tilak Dias is focussed on electronic textiles with the aim of developing a truly wearable computer. Located within the School of Art and Design, the Research Group forms strong cross-disciplinary links with colleagues in the artistic and fashion areas.